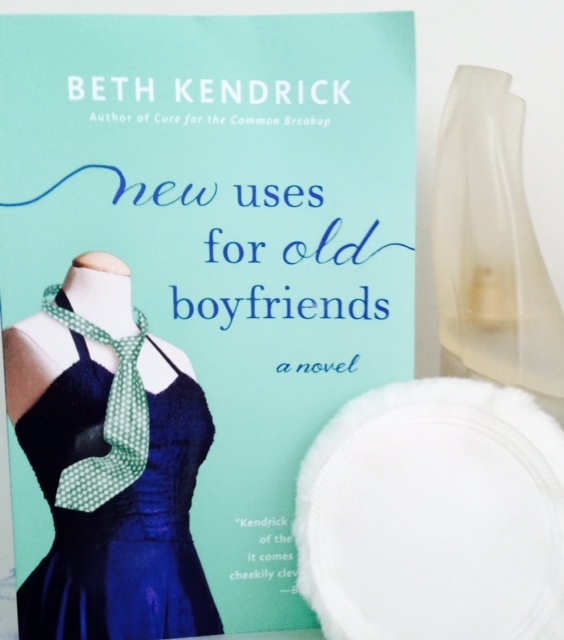 When I picked up Beth Kendrick’s New Uses for Old Boyfriends, I was hoping for something fun, entertaining and heartfelt. What I found was exactly that, and so much more. New Uses for Old Boyfriends introduces us to Lila Alders, homecoming queen-turned-home shopping host-turned broke divorcee. (That last part wasn’t exactly part of her plan.) Armed with nothing but dark roots and a giant SUV she doesn’t quite know how to handle, Lila returns to her small, seaside hometown, Black Dog Bay, but instead of finding the calm refuge she hoped for, she discovers that her recently-widowed mother is over her head in debt and in total denial about it. In an attempt to reinvent her life and save her family from financial ruin, Lila puts her efforts into opening a vintage clothing boutique—while also trying to figure out what to do with all of the former beaux popping up at every corner, including one she can’t quite remember, but won’t soon forget. Black Dog Bay is also the setting of one of Kendrick’s previous novels, Cure for the Common Breakup, and some of the wonderful characters reappear here. You don’t have to read the previous novel to enjoy this one; I hadn’t, but you can sure bet I will now. The more I can get of Black Dog Bay, its residents and Beth Kendrick’s fantastic style, the better. If you love reinvention stories, mother-daughter stories, stories about old flames, stories about new flames, stories about fashion—they’re all here. New Uses for Old Boyfriends is a fun, funny and touching book that will have you laughing, dreaming of Bob Mackie dresses, and maybe reaching for your old high school yearbook. New Uses for Old Boyfriends is available at Barnes and Noble, Amazon or wherever you buy books. To learn more about the fantastic Beth Kendrick and her novels, check out bethkendrick.com. Also be sure to connect with her on Twitter and Facebook! Beth is a great writer. I can’t wait for her next one! I think it has a cute dog on the cover too, if I am remembering correctly! Beth’s books are the best! And any book with a cute dog on the cover has me at hello.